The next Winter Olympics may be more than three years away, but the greatness of last February’s Canadian figure skating excellence is not forgotten. The 2019 Stars on Ice tour will deliver the same level of artistry, excitement and athletic triumph as fans experienced during last year's Winter Games. Canada’s premier figure skating show will visit Hamilton on Saturday, May 4 for a 7:30 PM performance at the FirstOntario Centre. Tickets for Stars on Ice go on sale Friday, December 7th. Special on-ice seating is available. 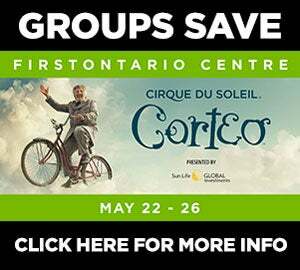 Tickets start at $25 and are available via www.starsonice.ca, www.ticketmaster.ca, the FirstOntario Insurance Brokers Box Office at FirstOntario Centre, and by phone at 1-855-872-5000. Group discounts are available for parties of 10 or more by phone at 905-546-2391. Please visit www.starsonice.ca for the most up to date information, as well as exciting show announcements. 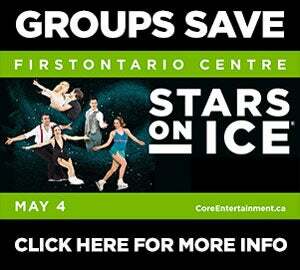 The Stars on Ice performance at FirstOntario Centre in Hamilton, ON on Saturday, May 4th will be recorded as a national television special and will air in the fall of 2019. Visit www.starsonice.ca for more details on air date and time. Stars on Ice is pleased to continue its relationship with World Vision as the Official Charity of the 2019 Tour. Stars on Ice continues to be a pioneer in figure skating by offering Canadian fans the rare opportunity to witness some of the country’s most accomplished and artistically gifted champions performing together in both individual and ensemble routines.